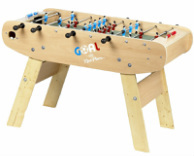 This is a special edition model hand crafted in celebration of the 2014 World Cup being played in Brazil, or Brasilia as it is said in France by this French manufacturer. 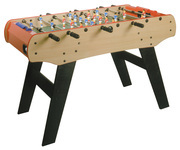 Soccer, or football as it is known around the rest of the world, is truly the most popular sport ever created. 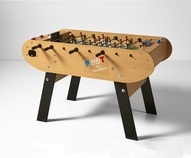 Foosball is known as Baby Foot in France and is extremely popular since it is the miniature version of the sport. 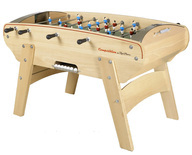 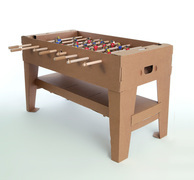 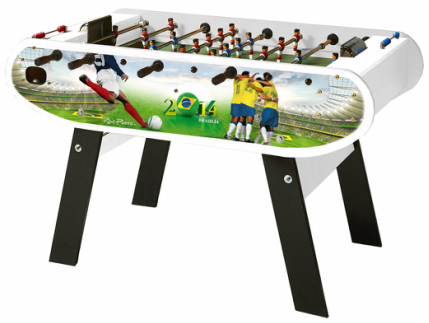 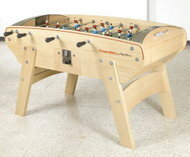 This is an ideal collector model for those who like both soccer and foosball. 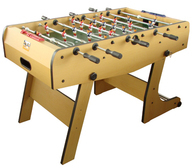 The table is not only fitted with high quality telescopic rods, it has ergonomic round handles for an advanced grip.